Now that winter’s in full swing, there’s nothing better than a hot drink for warmth after outdoor activities, for comfort on grey days or to relax at the end of the evening. 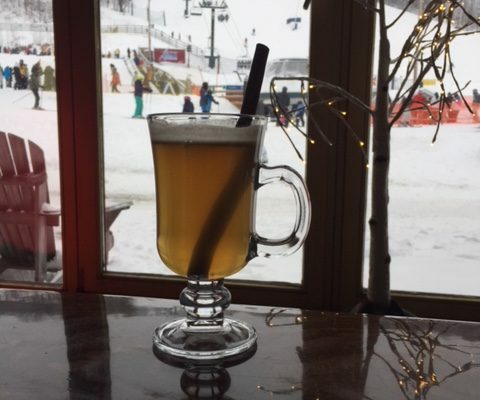 Here are some merchant-recommended speciality drinks you’ll want to savour again and again at Tremblant. 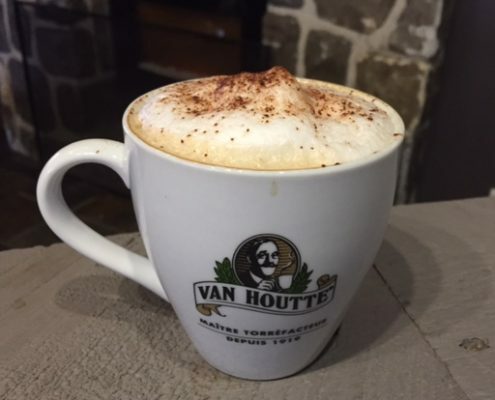 Get off on the right foot and come to the village to enjoy your favourite morning drink. There’s something to suit every taste. 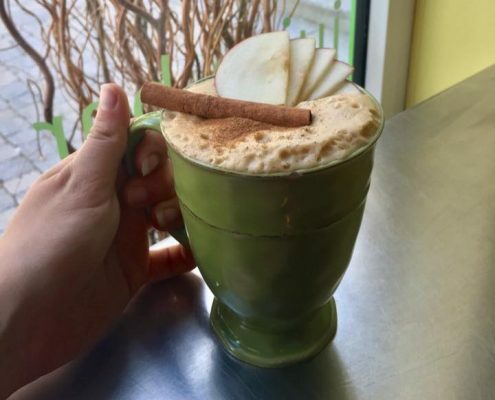 Warm apple juice with ginger, cinnamon, lemon and honey. Slightly spicy. 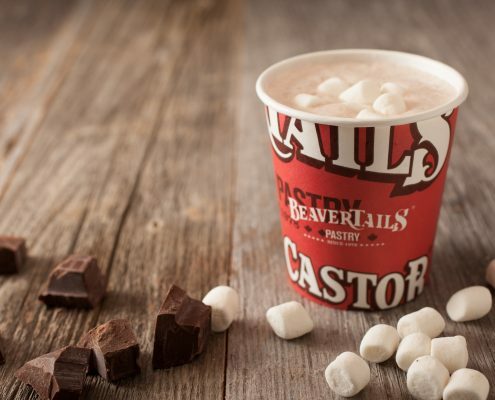 A delicious hot-chocolate-flavoured tea with frothed milk, garnished with crushed candy. 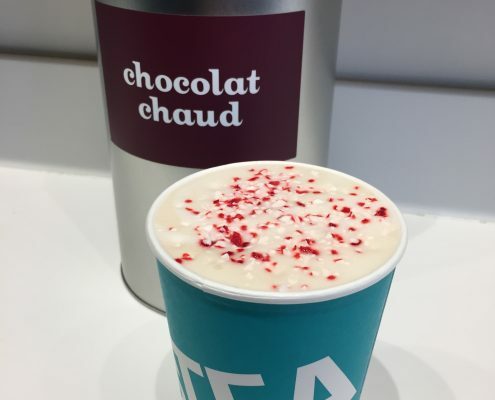 A delicious coffee and hot chocolate blend flavoured with peppermint. Baileys and coffee always make a great combo! 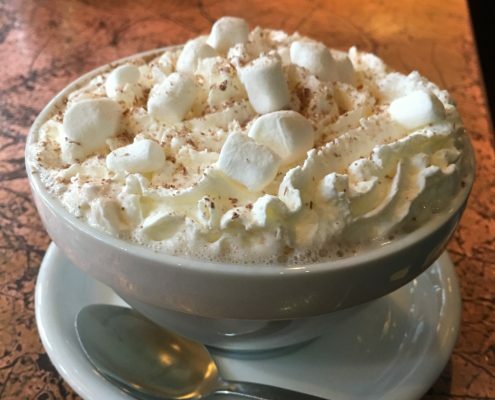 Your choice of milk, dark or white chocolate with homemade whipped cream and topped with marshmallows. 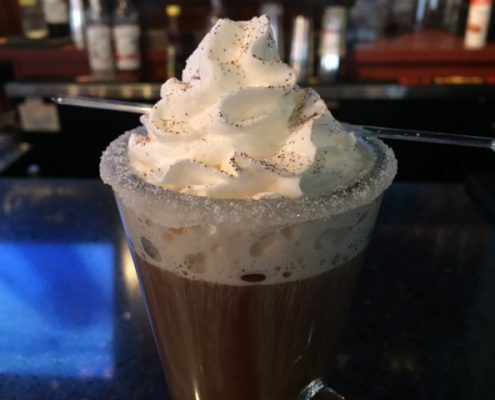 Whether you’re between work shifts or ski runs, there are tons of places to warm up and enjoy a great beverage in the village. 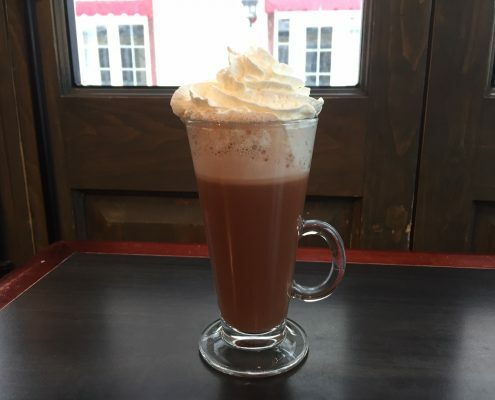 Hot Chocolate with Frothed Milk at Oh la vache! Rich hot chocolate with fresh frothed milk, garnished with powdered chocolate. It’s a classic! Espresso, Galliano liqueur and whipped cream. The almond flavour of the Galliano deliciously complements the coffee. The secret ingredients: lots of love and marshmallows! 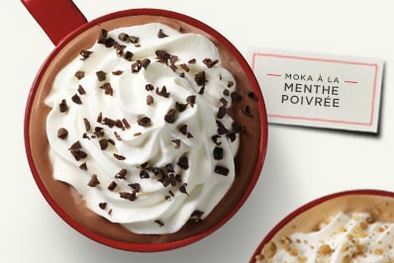 The mountain of whipped cream turns your hot chocolate into a taste and texture sensation. 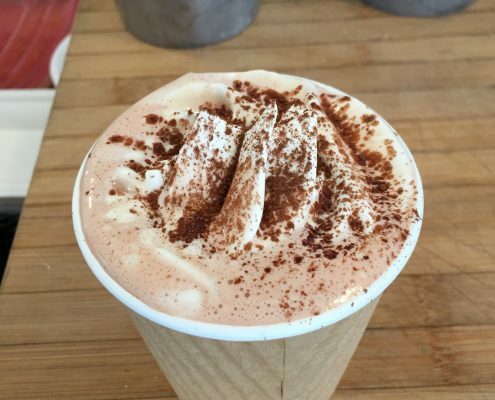 Why not start your evening out with a delicious alcoholic hot drink? Give the specialities at these establishments a try. 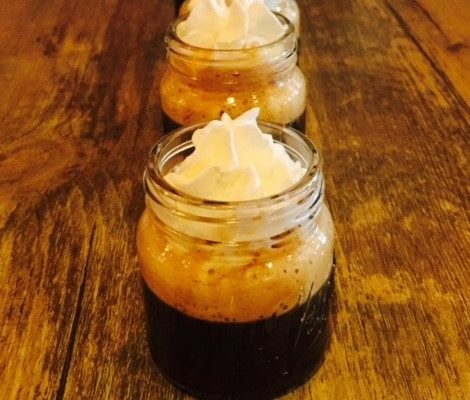 Here’s a Spanish coffee made with espresso, brandy and Kahlua, topped with whipped cream. This slightly spicy cocktail is sure to warm you up! 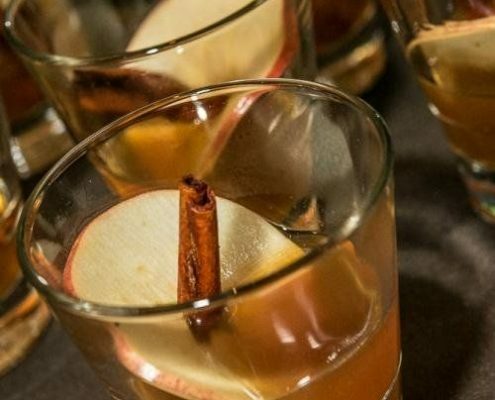 It’s a mix of apple juice, VSOP and cinnamon. Made with brown rum or whisky, this is a great après-ski drink. 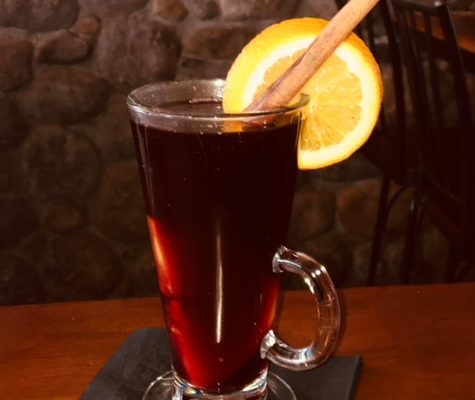 Mulled wine as an aperitif? Why not?